Once the consultancy and design phase (click here) is thoroughly completed, a client has the option of hiring Doug Crouch to then implement design elements. Our team works out the project management plan to ensure a balance of labour, budget, time, resources, and material flows. We work on both a production approach and an aesthetically pleasing feel to achieve the design goals through a phases of implementation approach (Rome wasn’t built in a day). To implement we either work in a hired crew from our side or the project allows us to work with farm staff, lead volunteer programs, and train teams for further implementation and management. We work with local hired machine drivers if the design dictates this need as well. These implementation phases are either in short bursts and are ongoing or last for a one time extended period. Both on site work is done but also pre-work is done to gain an accurate picture of the time and budget needed. The project management phase ensures that the proper resources will be in place to allow the work to continue seamlessly. 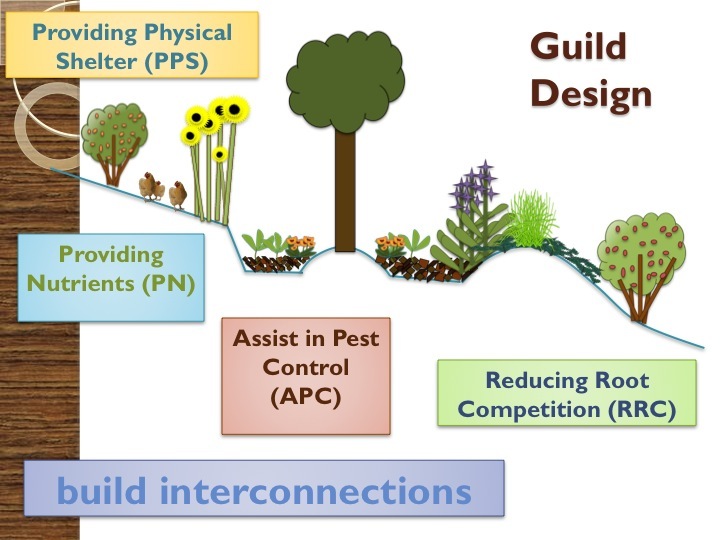 Sometimes courses like food forests allow for an implementation but a consultancy and design process is required beforehand. Also we are willing to implement others designs if need be after a review and update of the design. Either way we work diligently to implement designs for energy efficiency and abundance of yield. With that, Lets plant some Trees YO!